Discover the world of essie colour and shop our iconic nail polishes with names that carry wit and charm. Couture colour that lasts. Luxurious gel-like shine & finish in an easy 2-step system. Our advanced colour and care formula for stronger nails in 1 week. The perfect essie manicure means choosing the right nail care products for you. Whatever the occasion send your bestie some essie love with our selection of nail polish sets. Shop the products you’ll become #obessied with! Essie is the go-to nail brand for salon professionals, beauty junkies, industry insiders, celebrities and fashion icons around the world. For more than 35 years, essie has been a colour authority and leader in nail luxury, committed to high quality standards with an award-winning line of nail polishes and nail care products. Started in 1981 by our namesake Essie Weingarten, essie continues to delight the colour-obsessed with a love shared all over the world. 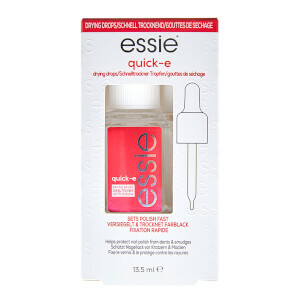 Fun and fabulous nailcare brand essie is proving a huge hit with all you nail varnish fanatics out there. Originating with just 12 shades, the brand now has over 177 shades for you to try and fit on your bathroom shelf. With each shade having its own quirky name its no wonder that this range has become a fashion favourite. essie are continually keeping on top of the latest trends and their range of super stylish nail varnishes grows to reflect this with innovative new products being designed to satisfy us fashion focused individuals. 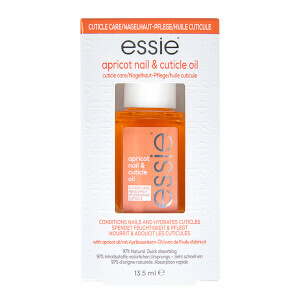 Also experts in nail care - essie have developed a range of nail treatments which are guaranteed to keep your nails manicure perfection at home.